There are many benefits of indoor houseplants. First and foremost they add an element of life to the interior of your home. Orchids offer a chic Vogue-esk look in an office or a Fiddle Leaf Fig is a welcoming accessory in an entryway. A central courtyard would be ideal for Birds of Paradise or Monstera. But what are the other benefits of indoor houseplants other than the aesthetics? Check out the many health benefits below. 1. Photosynthesis. We’ve all heard about the process of photosynthesis back in high school. Plants absorb carbon dioxide and release oxygen, therefore plants can help to increase oxygen levels in your home. More specifically orchids and some succulents as they continue to do so even at night. 2. Clean Air. Plants have been found to remove trace levels of toxins in the air via their leaves and roots. Peace Lilies and Bamboo are a great start and are amongst the top 10 in removing indoor pollutants. 3. Lifestyle Benefits. Funnily enough a number of studies have shown that being surrounded by elements of nature can help to improve concentration, memory and productivity. Above all adding a few indoor plants to your interior is great way to freshen up your décor – so if there just so happen to be a few extra benefits of indoor houseplants, we say go for it! 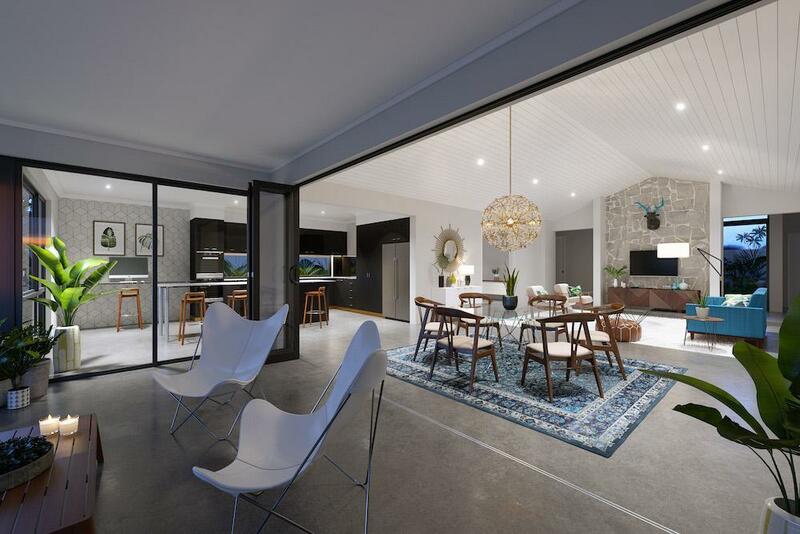 Have you eve considered building a home with an internal courtyard or fernery? Check out the Villa Terraza design with internal courtyard and rooftop terrace!